Welcome to JanKo Import Cars, Inc. ! Welcome to Janko Import Cars. We have been providing dependable parts, reliable services, and a friendly enviroment to individuals, non-profit organizations and corporations in the Wake Forest area for over 15 years. Count on Janko Import Cars when quality really counts. Remember, exceptional service is our standard. Jan, or Mr. Janko, has a lifetime of experience working on European cars. His expertise covers every car across the board, From your everyday BMW or Mercedes, to your weekend drop top Alfa Romeo or Triumph, Jan has worked on them all. Many would consider Janko an expert in Mercedes-Benz, BMW, Volkswagen, Audi, Porsche, Seat, Skoda, Alfa Romeo, FIAT, Lancia, Peugot, Land Rover, Range Rover & Jaguar. 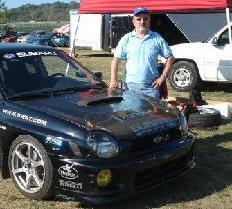 He also does work on late model Japanese cars such as Lexus, Toyota, Honda, Subaru, Acura, Nissan and Infiniti. Dedicated Vice president, Elizabeth Kokoszka is in charge of running the day to day office operations. 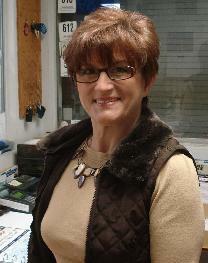 When you call us here at Janko, she will most likely be the kind voice you hear on the other end of the line. Elizabeth has many years experience in accounting and finance. She is a North Carolina Notary public, so we are able to push your paper work through with out any delay. Elizabeth really completes the atmosphere of our shop with her radient smile and her friendly interactions with every customer that walks through our doors. We are members of The Tarheel Sports Car Club, and we would like to offer any members with special rates and treatment. We also encourage anyone interested in motorsports to start small and check out any events that THSCC holds.